Michigan’s largest, located on Woodward Avenue in the city’s cultural district. Annual budget: $31 million, 75 percent of which comes from a property-tax millage paid by Wayne, Oakland and Macomb County residents. 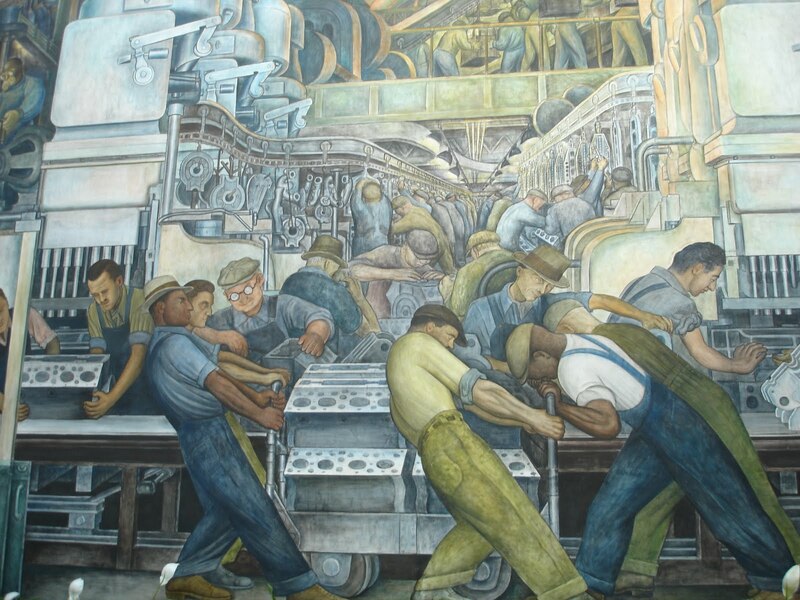 Noteworthy exhibits: Diego Rivera’s “Detroit Industry” murals; paintings by Rembrandt, Degas, Van Gogh, Bruegel, others; African, African-American, Middle Eastern, contemporary and other specialized collections. 314 South Park St., Kalamazoo. Noteworthy exhibits: A permanent collection covering five galleries, including American painting, sculpture and ceramics; photography; African-American, pre-Columbian and Asian artists and pieces. Why visit? “We’re the finest visual art institution between Detroit and Chicago,” said director Jim Bridenstine. Noteworthy exhibits: Paintings by Auguste Renoir, John Singer Sargent, Mary Cassatt, Thomas Hart Benton, Andrew Wyeth; European decorative arts; a rare shaped panel by Peter Paul Rubens; and modern and contemporary pieces. Why visit? “We’re adjacent to a fantastic park designed by Maya Lin, in a high-energy downtown. We’re playing a role in making downtown a 24-7 kind of place,” said Dana Friis-Hansen, museum director. Noteworthy exhibits: A changing array of contemporary and avant-garde pieces and installations, plus a sculpture garden. The building itself is nominated for an award at the World Architecture Festival, happening this fall in Singapore. Noteworthy exhibits: American and European painting, sculpture, works on paper, including “Tornado Over Kansas” by John Steuart CQ Curry and “New York Restaurant” by Edward Hopper. Guests are also welcome to the Arthur Secunda Museum at Cleary University for a wonderful presentation of the artist's work. Phase two opens on October 13 th at 2:00 p.m. Visit the university's web site for more information. Some fuzzy math: DIA is $52 per visit while Grand Rapids is $16 per visit; Average for is $32. How does GRAM attract so many people with such a small budget?? Toledo Art Museum is a must too! The Glass Museum is excellent!